Home ...of Interest Ho! Ho! Whoa! 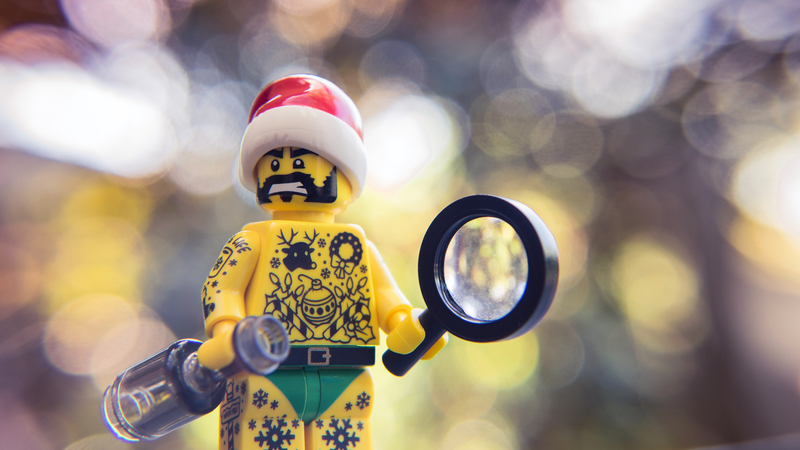 With Christmas approaching, Shelly suggested a Secret Santa gift exchange amongst the Google+ Toy Photographers Moderators. Eight Moderators signed up, each being allocated another to find a $20US gift to add to their toy photography arsenal. Buying a toy for a toy photographer. Easy, right? Not necessarily. This seemingly simple gift exchange has morphed into an exercise in investigation. Trawling though feeds to gauge an interest. Scanning photos for prospective gifts that might me absent from their extensive collection. Examining posts for a gift that is likely to complement an existing assembly, or send the recipient off in a new direction in their toy photography. As I meandered through their catalogue of creativeness, I got lost and forgot why I was there. I became engrossed in recurring themes. I chronicled the acquisition of new toys as they joined the throng. As I wandered through the months, the seasons changed and painted different pictures. Favourite toys made regular appearances. Styles and techniques evolved, yet remained true to their origins. I discovered I was one being given a gift, the gift of seeing the evolution of a friend’s toy photography, as I searched for that elusive gift. I got to rediscover forgotten photos and experience new ones. Secret Santa or Sneaky Santa? Good luck looking clues as to who I was allocated in the Secret Santa if you’re one of the G+ Moderators. I covered my tracks. I made sure not to like, +1 or comment on any of the archival images I was snooping through! When was the last time you scrolled back through someone’s feed? When did you last look back at the evolution of one of your toy photography friends? It is fun isn’t it? And spending more time than just a “scroll, like, scroll” really is a lovely way to spend a few hours. Plus I got to choose my gift. Bonus! Great idea, Brett, to go back over a fellow toy photographers feed slowly to revisit their collection. I’m off to do that now! Yay! I had a great time strolling through all the past photos. I hope you did too.